FORT LAUDERDALE/DAVIE, Fla. –Nova Southeastern University (NSU) is one step closer to fulfilling its vision to be the South Florida destination for health care education thanks to two new gifts. One will support NSU’s College of Allopathic Medicine, the other will support NSU’s College of Nursing. Combined, these gifts help the university achieve the $250 million goal for its Realizing Potential campaign three years ahead of schedule. The first gift – $25 million from the Drs. 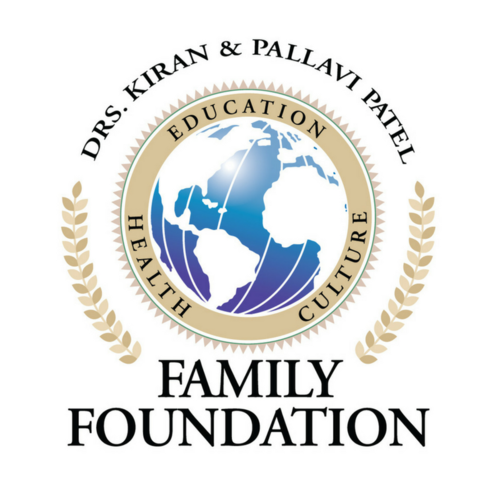 Kiran and Pallavi Patel Family Foundation, Inc. – will rename the NSU College of Allopathic Medicine to the Dr. Kiran C. Patel College of Allopathic Medicine (M.D.). Their latest gift comes on the heels of their previous financial commitment of $200 million, comprised of a $50 million gift to rename NSU’s College of Osteopathic Medicine and its College of Health Care Sciences, plus an additional $150 million in real estate investment to develop a new site for NSU’s Tampa Bay Regional Campus in Clearwater, Florida, which will provide an additional location for NSU’s osteopathic medicine program for that area. 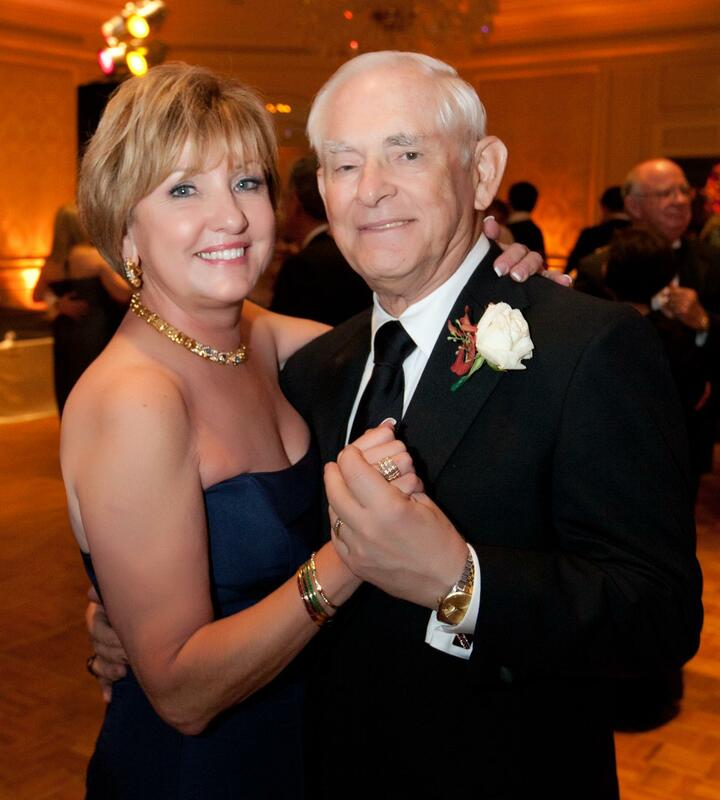 The Assaf’s gift will rename the NSU College of Nursing to the Ron and Kathy Assaf College of Nursing. The Realizing Potential campaign goal of $250 million is the first philanthropic campaign in the university’s 54-year history. It is also, by far, the largest philanthropic campaign of any sort in Broward County. 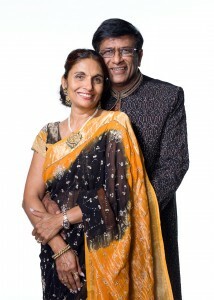 The Dr. Kiran C. Patel College of Allopathic Medicine (M.D.) and the Ron and Kathy Assaf College of Nursing are two of eight distinctive colleges in NSU’s Health Professions Division. The others are: NSU’s College of Dental Medicine, College of Medical Sciences, College of Optometry, College of Pharmacy, the Dr. Kiran C. Patel College of Osteopathic Medicine (D.O.) and the Dr. Pallavi Patel College of Health Care Sciences. These colleges, many producing the state’s largest number of graduates in their specialty each year, offer more than 60 degrees and provide a myriad of opportunities for inter-professional interaction at the university. “The Patels, the Assafs and many of our other supporters share our vision and core values to transform the way we educate our future leaders while simultaneously providing a variety of health care and other services to the community at large,” said Dr. Hanbury. “These generous gifts provide additional resources necessary to build an integrated university-driven health system here in Florida that has worldwide reach. More information on each of these gifts, which were announced at NSU’s annual Celebration of Excellence gala event on January 27, 2018 follows below. The donation of $25 million from the Drs. 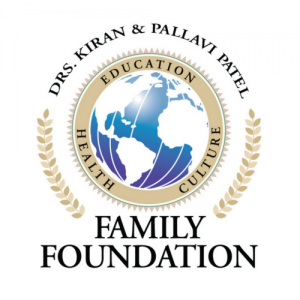 Kiran and Pallavi Patel Family Foundation, Inc. will rename the Dr. Kiran C. Patel College of Allopathic Medicine and will provide scholarships for medical students needing financial support to attend medical school. Upon receiving preliminary accreditation by the Liaison Committee on Medical Education (LCME) in October 2017, the college began recruiting students for what is now the eighth M.D. program in Florida and one of only 149 in the United States. The college’s charter class of 50 M.D. candidates will matriculate in August 2018. The Dr. Kiran C. Patel College of Allopathic Medicine (M.D.) will serve as an integral part of a 200 bed teaching and research hospital currently being constructed by Hospital Corporation of America (HCA) East Florida. The plan includes specialized medical facilities and hospitality services in close proximity to the university’s classrooms and its $100 million, 215,000-square-foot Center for Collaborative Research – all within one complex on the university’s Fort Lauderdale/Davie Campus. The new college’s educational program will be taught in an interdisciplinary fashion in conjunction with the other colleges in NSU’s Health Professions Division, using existing renovated space to accommodate the new M.D. student class and the college’s hybrid case- and problem-based learning curriculum. To meet demands in all of its medical, health care and life science programs as well as the new M.D. program, NSU is planning to build a 250,000-square-foot, state-of-the-art integrated medical education building to complement its health professions facilities and health care centers. For additional information on NSU MD, please visit www.md.nova.edu. In recognition of long-time donors, NSU will rename the nursing college to the Ron and Kathy Assaf College of Nursing. Mr. Assaf is chairman of NSU’s Board of Trustees and he and Kathy have donated more than $5 million to NSU. Their latest gift has also enabled NSU to surpass its Realizing Potential campaign goal of $250 million that was originally set for completion at the end of 2020. The Ron and Kathy Assaf College of Nursing offers B.S.N., M.S.N. and doctoral programs at NSU campuses in Fort Lauderdale/Davie, Miami, Palm Beach, Fort Myers or Tampa. The unique clinical training provided in each of these programs gives NSU nursing graduates a definite advantage in the clinical workplace. The rousing success and early completion of NSU’s $250 million philanthropic campaign reflect high donor confidence in NSU’s ability to turn aspirations into reality. Thanks to strong donor support, NSU has been able to attract and empower renowned researchers and collaborators, as well as bright students who not only imagine a better world, but are motivated to work and make a difference. The campaign generated more than $140.8 million for scholarships and other investments to benefit NSU’s students throughout its nine campuses and online community. Another $50.5 million is earmarked for faculty and research, and $61.2 million to 21st century initiatives. In the past two years, NSU celebrated the grand openings of a Center for Collaborative Research, the NSU AutoNation Institute for Breast and Solid Tumor Cancer Research, a new regional campus in Puerto Rico, the Noel P. Brown Sports Center expansion at NSU University School (a JK-Grade 12 college preparatory school and the naming of the Rick Case Arena in the Don Taft University Center. In addition to introducing the new Dr. Kiran C. Patel College of Allopathic Medicine, the Dr. Kiran C. Patel College of Osteopathic Medicine and the Dr. Pallavi Patel College of Health Care Sciences and a new site in the Tampa/Clearwater Florida area, NSU also created programs to stimulate entrepreneurship, engineering, and experiential learning. The campaign also included the naming of the Guy Harvey Oceanographic Center building on NSU’s ocean campus and the naming of the Huizenga Sales Institute, located within the Carl DeSantis Building on NSU’s Fort Lauderdale/Davie campus. Early hallmarks of the campaign’s start in 2008 included adding NSU Art Museum Fort Lauderdale to NSU’s expanded creative campus and providing a home for Special Olympics Broward County. About Nova Southeastern University (NSU): Located in beautiful Fort Lauderdale, Florida, NSU is ranked among US News & World Report’s Top 200 National Research Universities and is a dynamic, private research university providing high-quality educational and research programs at the undergraduate, graduate, and first-professional degree levels. Established in 1964, NSU now includes 16 colleges, the 215,000-square-foot Center for Collaborative Research, a private JK-12 grade school, the Mailman Segal Center for Human Development with specialists in Autism, the world-class NSU Art Museum Fort Lauderdale, and the Alvin Sherman Library, Research and Information Technology Center, which is Florida’s largest public library. NSU has campuses in Fort Lauderdale, Fort Myers, Jacksonville, Miami, Miramar, Orlando, Palm Beach, and Tampa, Florida, as well as San Juan, Puerto Rico, while maintaining a presence online globally. Classified as a research university with “high research activity” by the Carnegie Foundation for the Advancement of Teaching, NSU is one of only 50 universities nationwide to also be awarded Carnegie’s Community Engagement Classification, and is also the largest private institution in the United States that meets the U.S. Department of Education’s criteria as a Hispanic-serving Institution. Please visit www.nova.edufor more information about NSU and realizingpotential.nova.edu for more information on the largest fundraising campaign in NSU history.